Jesus (/ˈdʒiːzəs/; Greek: Ἰησοῦς Iesous; 7–2 BC to 30–33 AD), also referred to as Jesus of Nazareth, is the central figure of Christianity, whom the teachings of most Christian denominations hold to be the Son of God. Christianity regards Jesus as the awaited Messiah (or "Christ") of the Old Testament and refers to him as Jesus Christ, a name that is also used in non-Christian contexts. Virtually all modern scholars of antiquity agree that Jesus existed historically, although the quest for the historical Jesus has produced little agreement on the historical reliability of the Gospels and on how closely the biblical Jesus reflects the historical Jesus. Most scholars agree that Jesus was a Jewish rabbi from Galilee who preached his message orally, was baptized by John the Baptist, and was crucified in Jerusalem on the orders of the Roman prefect, Pontius Pilate. 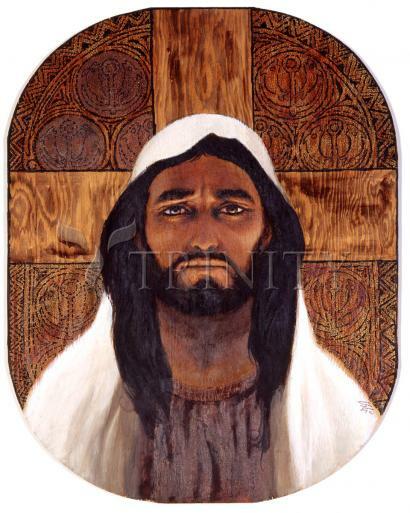 Scholars have constructed various portraits of the historical Jesus, which often depict him as having one or more of the following roles: the leader of an apocalyptic movement, Messiah, a charismatic healer, a sage and philosopher, or an egalitarian social reformer. Scholars have correlated the New Testament accounts with non-Christian historical records to arrive at an estimated chronology of Jesus' life. The widely accepted calendar era (abbreviated as "AD", alternatively referred to as "CE"), counts from a medieval estimate of the birth year of Jesus. Christians believe that Jesus has a "unique significance" in the world. Christian doctrines include the beliefs that Jesus was conceived by the Holy Spirit, was born of a virgin, performed miracles, founded the Church, died by crucifixion as a sacrifice to achieve atonement, rose from the dead, and ascended into heaven, whence he will return. The great majority of Christians worship Jesus as the incarnation of God the Son, the second of three persons of a Divine Trinity. A few Christian groups reject Trinitarianism, wholly or partly, as non-scriptural.